If #fridgeshelfies get you hot and bothered (i.e. excited and wellness-inspired), you're in for an extra-special treat. In a recent feature for The Chalkboard Mag as part of its In My Fridge Series, celebrity nutritionist and soon-to-be mom Kelly LeVeque gave readers a satisfying peek into the colorful depths of her fridge. Just as we'd expect from one of our favorite food experts, she served up some extra dish regarding her food philosophy, shopping MO, and occasional splurges. In terms of her day-to-day eats, LeVeque told the publication she focuses on nourishment, balancing blood sugar, and selecting foods that naturally regulate hunger hormones so she can feel balanced, not hangry, all day long. 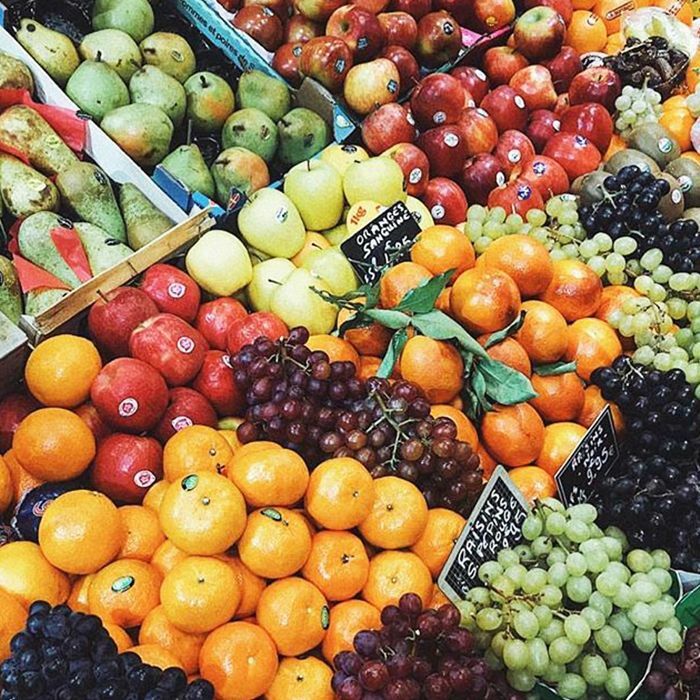 Shopping-wise, she loves grabbing bites at Erewhon Market, the Angeleno mecca of all things raw, clean, and organic, in addition to Whole Foods and online grocery hot spot Thrive Market. We also discovered her simple go-to recipe is a tantalizing shrimp scampi (see her instructions here! ), and a smartly portioned chocolate chew is her preferred indulgence. Because sometimes it's just necessary. For more of LeVeque's astute diet insight, and for the 12 foods you can always find in her fridge, keep scrolling! Be it for snacking or preparing her signature smoothies, LeVeque reaches for clean nut milks boasting minimal ingredients—almond, cashew, or macadamia nut—from organic brands like Malk or New Barn. Coconut yogurt (she loves Coconut Cult!) and Kite Hill almond-based cream cheese might also be on the table. That being said, dairy isn't completely off the table for the soon-to-be mom. "I'm not anti-dairy," she told the site. "There are days especially in my pregnancy (one of my biggest cravings is cottage cheese) where I'll do a raw sheep or goat cheese. 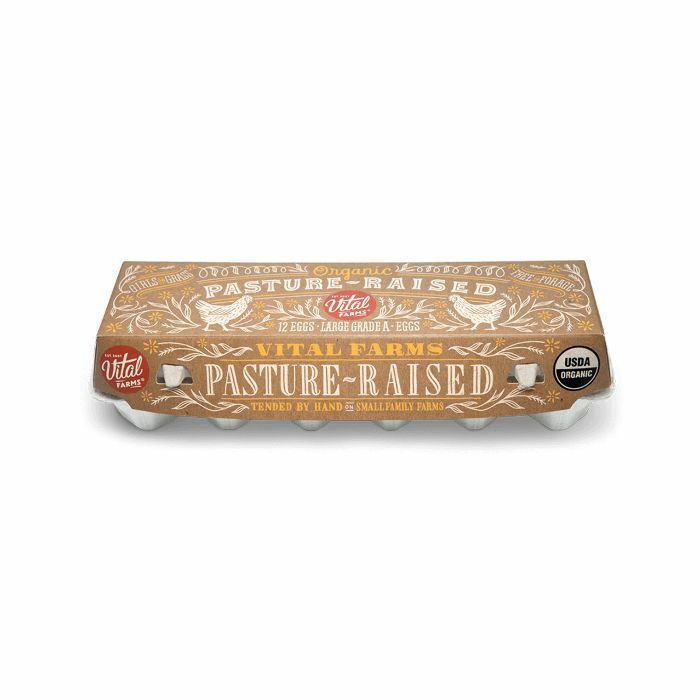 Being pregnant I can't really do raw or soft cheeses, so sometimes I'll do pasture raised, good, cultured cottage cheese." "Lemons are sometimes in my fridge, sometimes on my counter depending on how hot it is in my apartment," explains LeVeque. "I always have avocados." 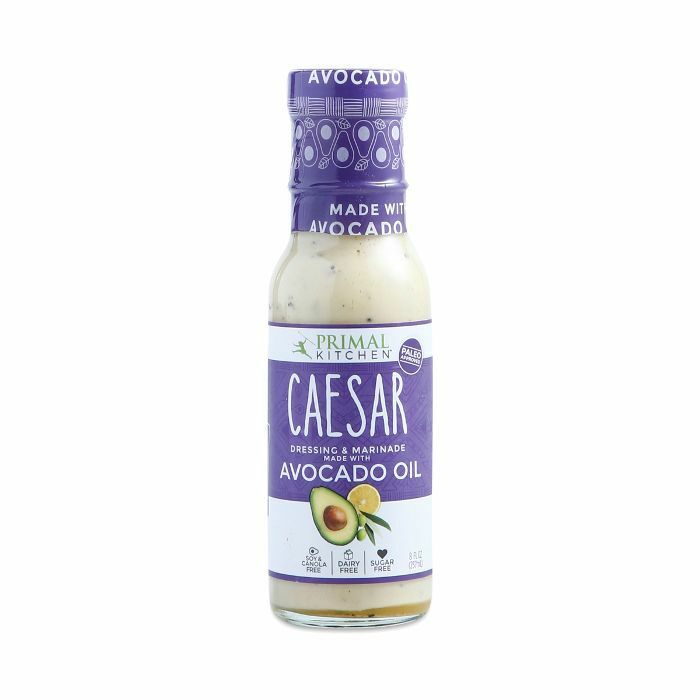 As far as her preferred condiments, LeVeque says the avocado oil–based dressings from Primal Kitchen are a consistent go-to. She'll also reach for high-quality, cold-pressed extra-virgin olive oil, Braggs apple cider vinegar, or any other offerings (like mustard and ketchup) from Primal Kitchen in addition to the aforementioned dressings. "All the condiments I use are sugar-free—that's one of the sneakiest ways people load up their diets with extra sugar," she warns. "I also love to snack on a hard-boiled egg or veggies and a premade dressing or a little sprouted hummus," she says, adding that they're also great in salads for an extra kick of protein or poached or scrambled at breakfast. 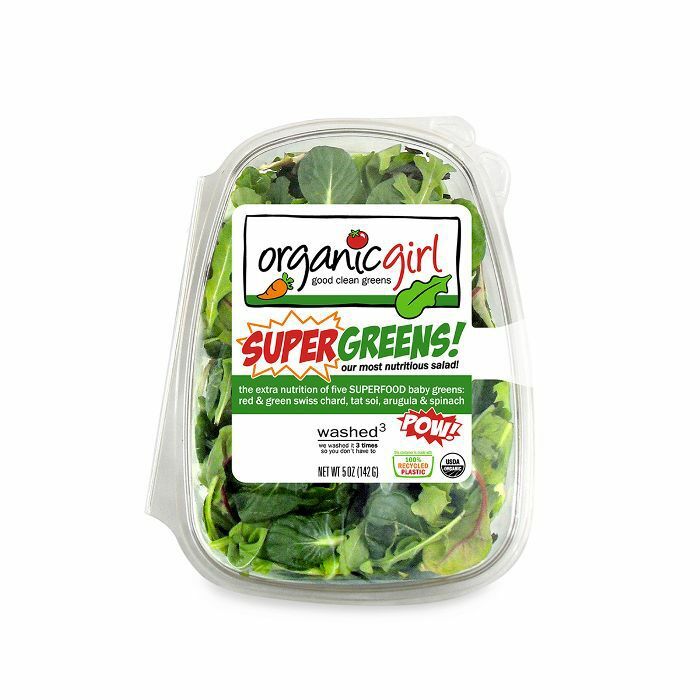 Essential for smoothies or salads alike, LeVeque credits Organic Girl as one of her go-to brands when it comes to invigorating her diet with her must-have leafy greens: "I always have one or more blends of super greens by Organic Girl which are turbo-washed and easy to grab." 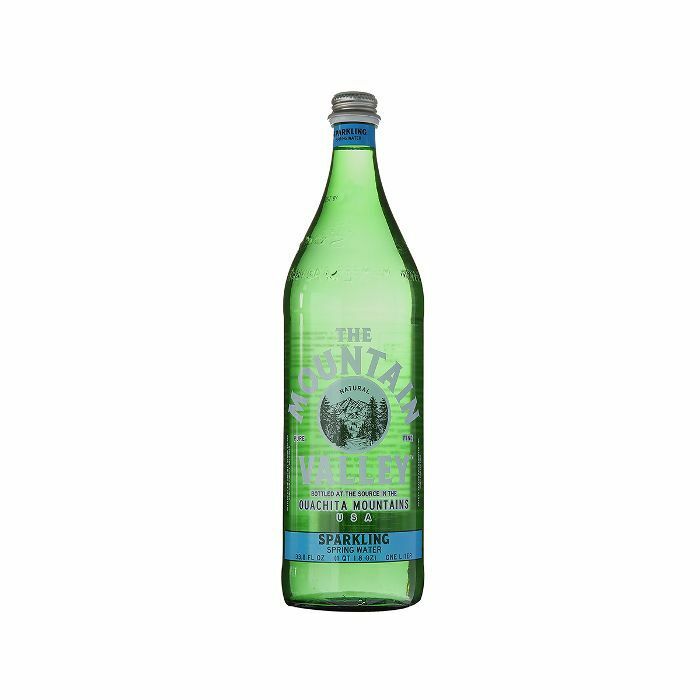 "Since I've been pregnant, my fridge is loaded with Mountain Valley sparkling water. I also love cold apple cider vinegar which I'll actually splash it into my water," she explains. "I love fermented veggies, like Farmhouse Culture krauts, and there were a couple of weeks of my pregnancy where I just had to have garlic pickles," LeVeque admits. "The tart flavor is amazing burst if you're hungry and the blast of vinegar can help cut sugar cravings. I have it with a big glass of water, especially if I'm eating because of emotions or boredom." 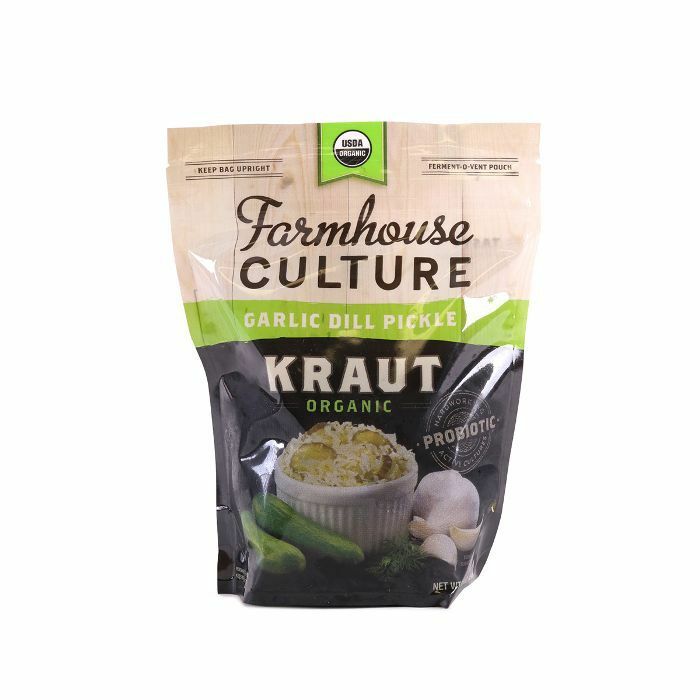 This pick from the brand marries the best of both worlds—organic kraut plus salty, tangy pickles. 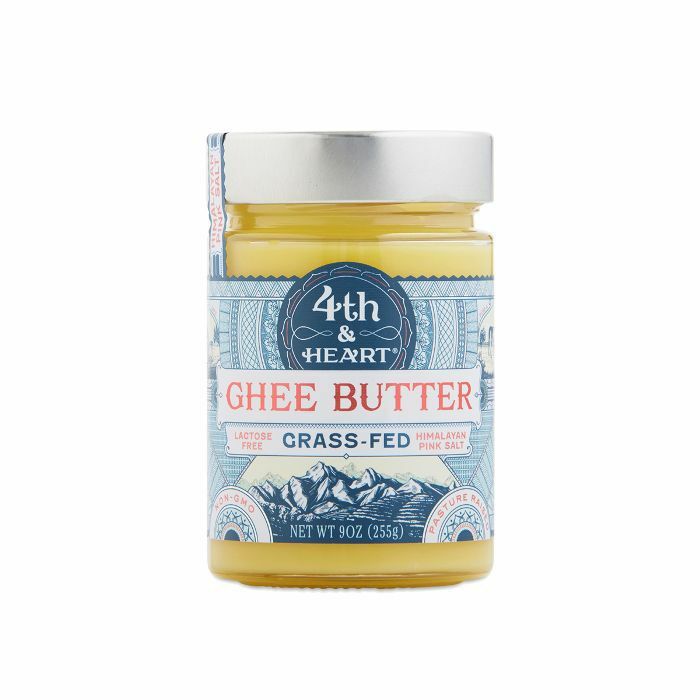 LeVeque also cites ghee (she especially loves the above brand) as the ultimate way to cook veggies or upgrade a morning cup of coffee. 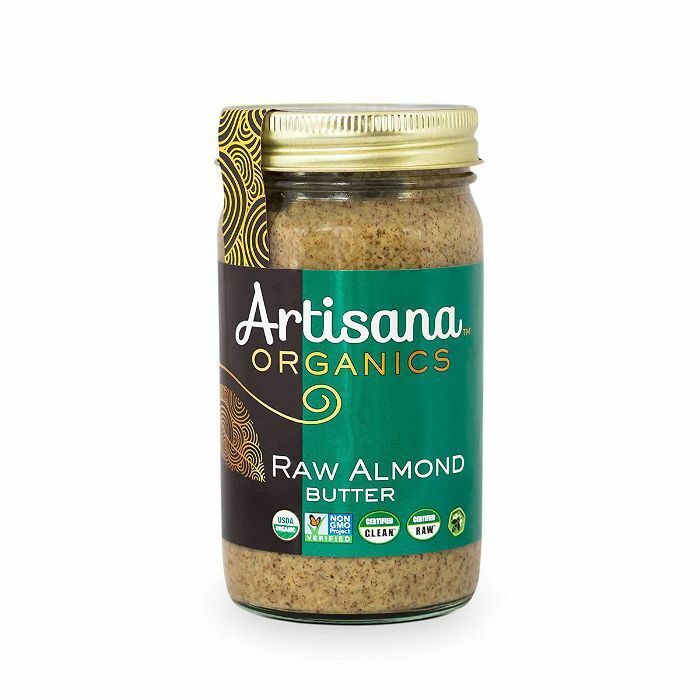 The perfect addition to crackers, raw veggies, or smoothies, raw almond butter (which retains more nutrition compared to the roasted variety) is another staple you'll always find tucked away into LeVeque's fridge. They're a great source of natural protein, fat, and minerals! 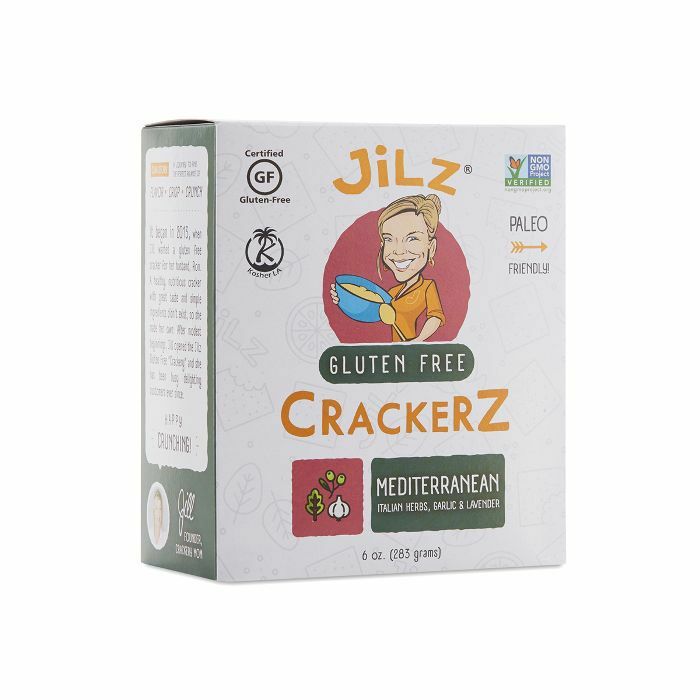 "I always have Jilz's Crackers which are made with almonds chia and flax," she shares. "They have a super low glycemic index and contain minimal ingredients. I usually eat them with smashed avocado or nut butter and make little sandwiches." 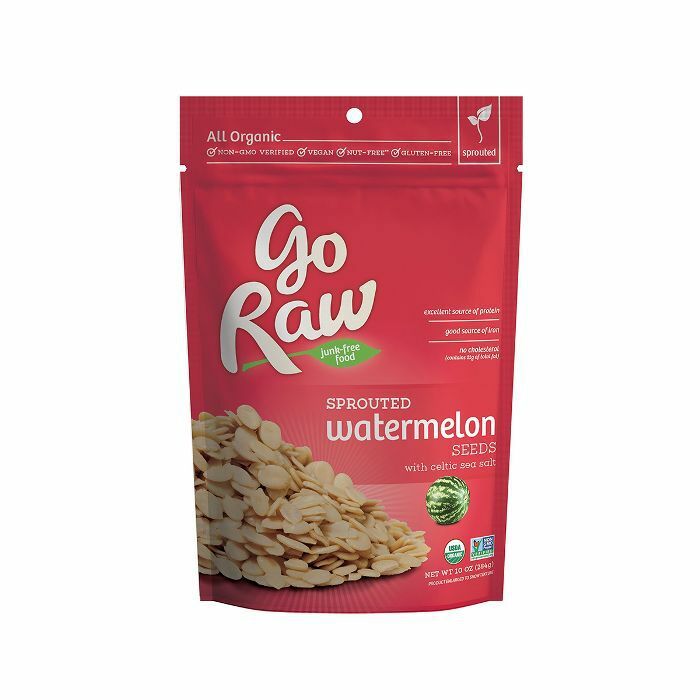 "If I'm snacking on seeds, I use Go Raw mixes that are already sprouted," she tells the publication. "They have watermelon seeds which I'm super into. They have 10 grams protein per ounce! Watermelon seed butter is a great plant-protein source for my vegan and vegetarian clients. I recommend whipping it into a pesto or salad dressing." "I'll usually have a clean protein in the fridge as well—either grass-fed ground beef, wild salmon, or maybe a pasture-raised chicken that I can cut up and pull for salads," says LeVeque. "I usually stock canned sardines or salmon. 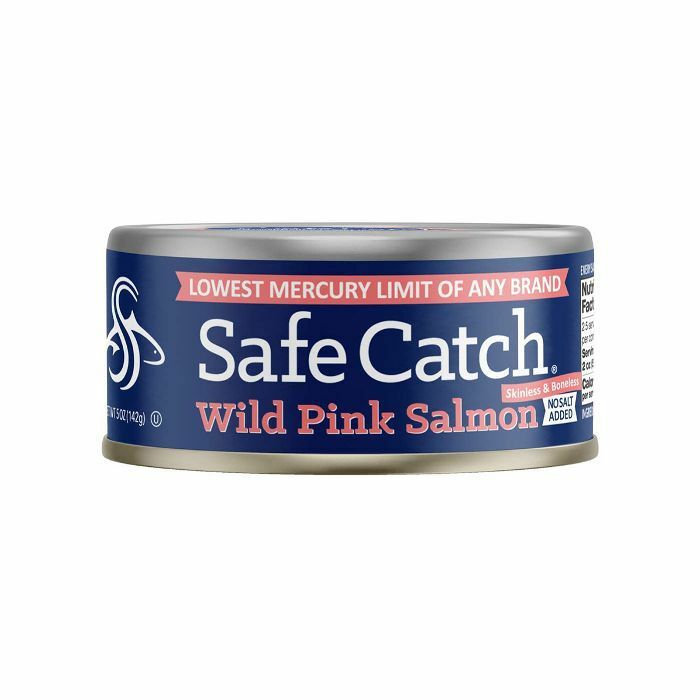 My favorite brands are Safe Catch or Wild Planet—their fish is wild and tested for mercury which is great especially while I'm preggers." If she's making a smoothie, she shares that she'll opt for a clean, collagen-infused protein powder like the ones from Primal Kitchen. 12 Lunch Ideas for When You're So Busy You "Can't Even"